Bread and beer have a lot in common. They’re both made from grains and yeast and have considerably more calories than any of us would like to admit. So it’s a little surprising that only now is the world getting what is being billed as the first “beer bakery”—a bakery where all the products take a cue from their liquid cousin. 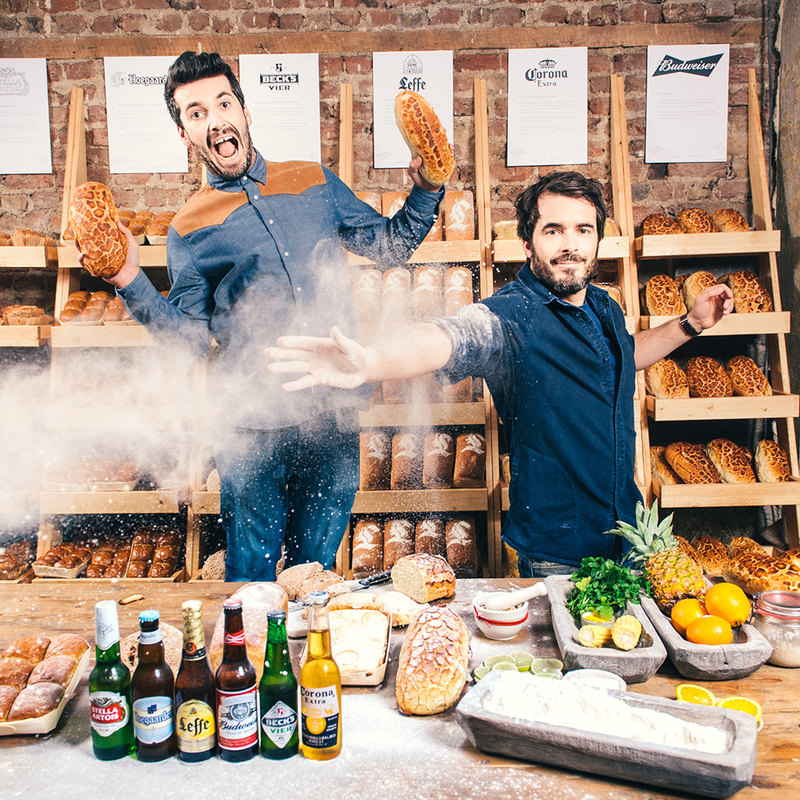 The idea for the London-based pop-up originally came from international mega-brewer AB InBev, who got well-known British bakers Tom and Henry Herbert, also known as The Fabulous Baker Brothers, on board to make the vision a reality. They’re serving up six different varieties of baked goods, each one inspired by a different AB InBev brew, including things like a “Spiced Orange and Coriander All Butter Brioche" meant to match Hoegaarden and a “Sea Salt and Lime Encrusted Cornbread” based on the background of a Corona. If you’re not feeling like you’ve gotten enough carb overload after that, the bakery also features a bar serving the six matching beers. “Beer and breads share a natural history that dates back as far as 6,000 B.C.,” Tom Herbert said. "As passionate bakers—and beer drinkers—we were immediately excited to be part of The Beer Bakery.” After all that bread and beer, he might also want to become passionate about taking some spin classes. The Beer Bakery opened on Monday and will supply carbs to the London area until Halloween.